Camplify is the UK’s fastest-growing caravan hire and RV sharing community. We connect people wanting to hire a caravan, motorhome, campervan or trailer tent with expert owners in an innovative peer-to-peer sharing environment. Our mission is to help more people experience the joys of camping and caravanning. Justin and his family used to holiday in their 1980 touring caravan every chance they got. However, on one of these trips Justin’s family were ran off the road and had an accident. After this experience, his parents made the decision to sell their caravan and finish their love affair with caravanning. As an adult, Justin wanted to recapture this love affair. For him though, buying a caravan just wasn’t an option. Justin decided we would develop an effective and innovative way to link holidaymakers with caravan, trailer tent, motorhome or campervan owners. And so, Camplify was born. 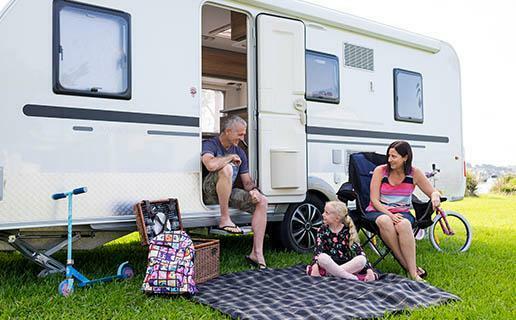 In less than two years, Camplify grew to over 20,000 members in Australia and has connected thousands of holidaymakers with private owners of caravans, motorhomes and campers. We have paid out millions of dollars to Aussie RV owners and now we’re determined to do the same in the UK! The UK has over 800,000 registered RVs and the majority of them don’t get used for more than 2 weeks per year. We are here to help put all those under-utilised assets to better use! Chris has many years experience in the UK camping and caravanning market. He joins the Camplify team after spending over three years heading up the touring and camping part of a national holiday park operator. Chris owns a Bailey Unicorn pamplona touring caravan and likes to spend time on a site in Canterbury, Kent with his family. Chris would be delighted to talk to you about how to earn an additional income from your caravan or motorhome. Our team is a passionate collection of individuals located in the UK, Australia and across the globe who love camping, caravanning, technology, the sharing economy and customer service. We've blended all of these passions together to build Camplify. Each day, our expert RV owners and enthusiastic holidaymakers inspire us to develop Camplify into the world's leading caravan hire and RV sharing community. Have a question about how Camplify works? Looking to hire an RV? Looking to hire a caravan or camper? Camplify gives holidaymakers an opportunity to experience the camping lifestyle without having to own an RV. Put your caravan to work! Chances are, your RV spends most of its time in the driveway. 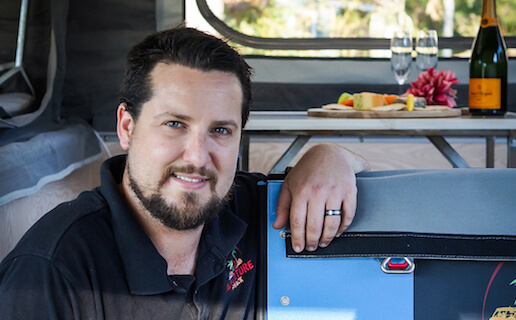 Camplify is built to ensure that hiring out your caravan or camper is a simple, easy process. Earn up to £10,000 per year. Try our RV hire price calculator here.